The technology of our print house is equipped since 2014 with a new printing system RTI Digital Vortex 4200 based on Memjet technology, which is a new category technologist press the verge of a new dimension of digital printing. Vortex 4200 its performance, speed and productivity surpasses all existing conventional inkjet systems. 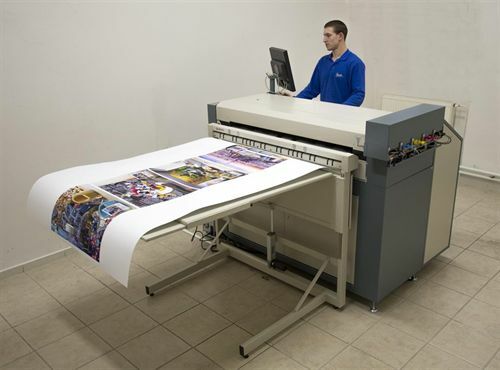 Unmatched productivity of graphic full-colour prints with superfine grid in native resolutions up to 1600x1600 with a role spreading to 107 cm with continuous printing up to 150m. To the weight of paper 450g / m2. 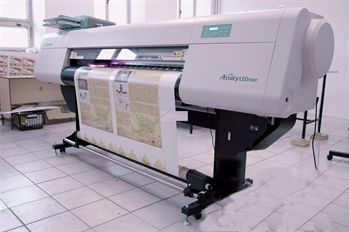 Posters can be additionally modified by lamination.